Full information on the plenary talks has been posted. Information on venue and accommodation has been posted. Attendee information: All CWIT 2017 activities will take place at Pavillon Alphonse-Desjardins (ADJ) and at Pavillon Maurice-Pollack (POL) of Université Laval (2305 et 2325 rue de l’Université, Université Laval). A plan of University Laval campus is available at www.ulaval.ca/plan-du-campus.html and at https://www.ulaval.ca/fileadmin/ulaval_ca/Documents/plan-campus-Universite-Laval-2016-06.pdf (pdf format). 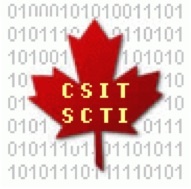 The Canadian Workshop on Information Theory is a prestigious international conference on communications, information theory, and signal processing. The 15th Canadian Workshop on Information Theory will be held from June 11-14, 2017, on the campus of Université Laval in Quebec City, Quebec, Canada.